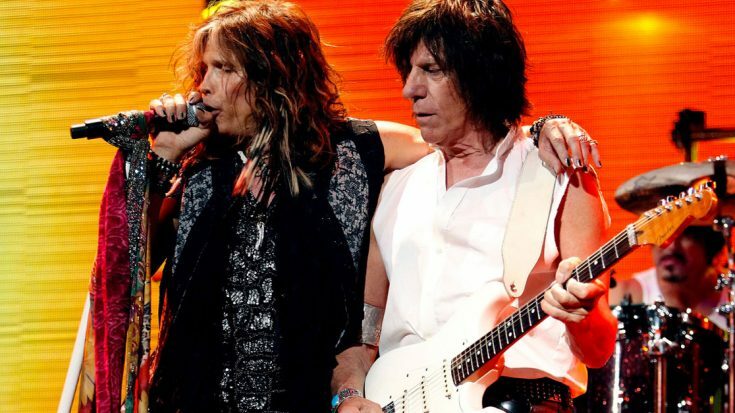 Hot on the heels of the release of his 11th album Loud Hailer, rock legend Jeff Beck celebrated 50 years in the music industry with an all-star 50th anniversary concert at the Hollywood Bowl this week. Joined by the likes of ZZ Top’s Billy Gibbons, Buddy Guy, Jan Hammer and Jimmy Hall, Jeff marked the occasion with an extra special nod towards late music visionary Prince with a searing take on Prince’s 1984 classic “Purple Rain” that featured the talents of singer Beth Hart as well as those of special guest Steven Tyler, whose background vocals were a gorgeous counterpoint to Beth Hart’s own smoky powerhouse of a voice. Never one to cover things exactly as they were originally written, Jeff steals the show when he completely gets rid of the crystalline lead guitar part for “Purple Rain” in exchange for his usual distortion, breaking from it only for that dazzling guitar solo that makes “Purple Rain” the icon it is. Check it out in the video below and join us in both remembering a legend and celebrating this major milestone in Jeff’s career – thanks for 50 years of music and memories, Jeff!